Square Address Sign 2 Line Address 11x11 - - square address sign. Made in USA. The street name lines hold up to twelve 1.25" characters each. 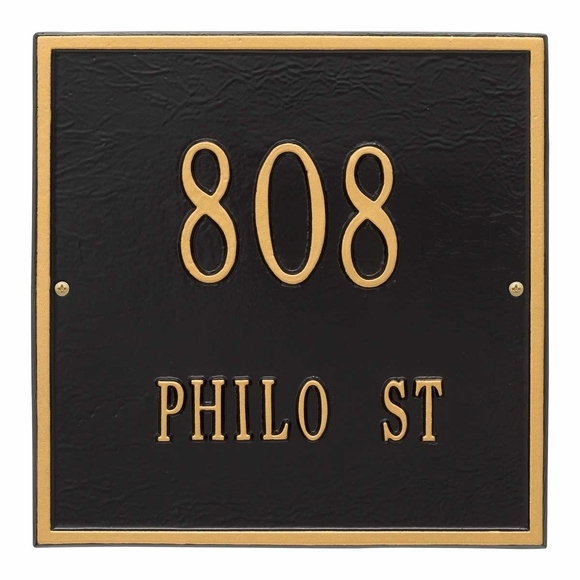 Address shown in signs above: 808 PHILO ST.